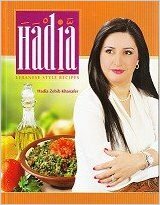 I was honored and excited when Hadia asked me to review her cookbook, Hadia Lebanese Style Recipes. I was blown away when I received her beautiful cookbook, which by the way, is the size of a college text book filled with 600 recipes. I feel like I am with Hadia reading every recipe. I can not imagine the time, energy and dedication it took to create this incredible cookbook. It is very detailed and enticing. Each photograph is beautifully shown. I read and re-read through the cookbook many times, wracking my brain with what recipe I would choose to represent Hadia’s cookbook in a fair and representational way. I usually lean towards desserts, but I was contemplating what to serve my family for dinner. 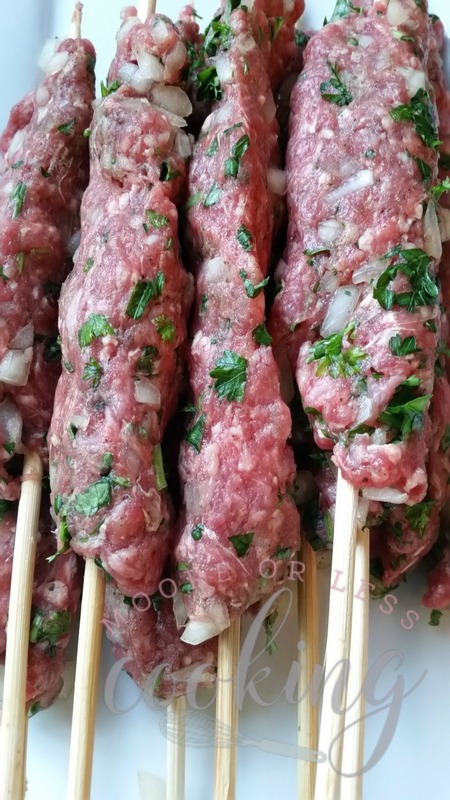 So I made my choice~ Grilled Kafta Kebabs! I love easy recipes, and Hadia delivers more than her share of easy and mouth watering recipes from soups, appetizers, salads, eggs, main courses and pastries, desserts in Lebanese recipes, French recipes, Mediterranean recipes, Italian recipes, and American recipes. Hadia ‘s cookbook is so diversified and clearly reaches such a large audience, that it would be impossible for anyone to read the cookbook and not see an enticing recipe. This cookbook shows step by step recipes which are easy to follow, resulting in a perfect meal and dessert. 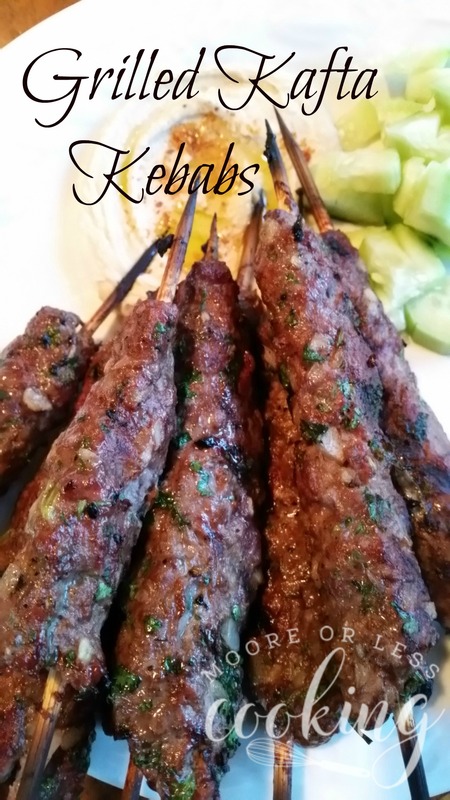 I have been a fan of Lebanese cuisine for years and decided to choose an authentic Grilled Kafta Kebabs. 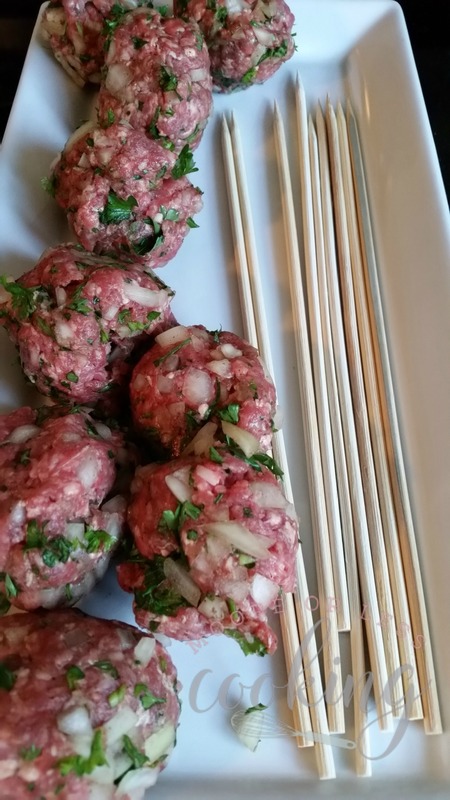 Only 7 ingredients are need for these moist and flavorful kebabs. The weather has been so mild in Maine this winter that we have actually been grilling. 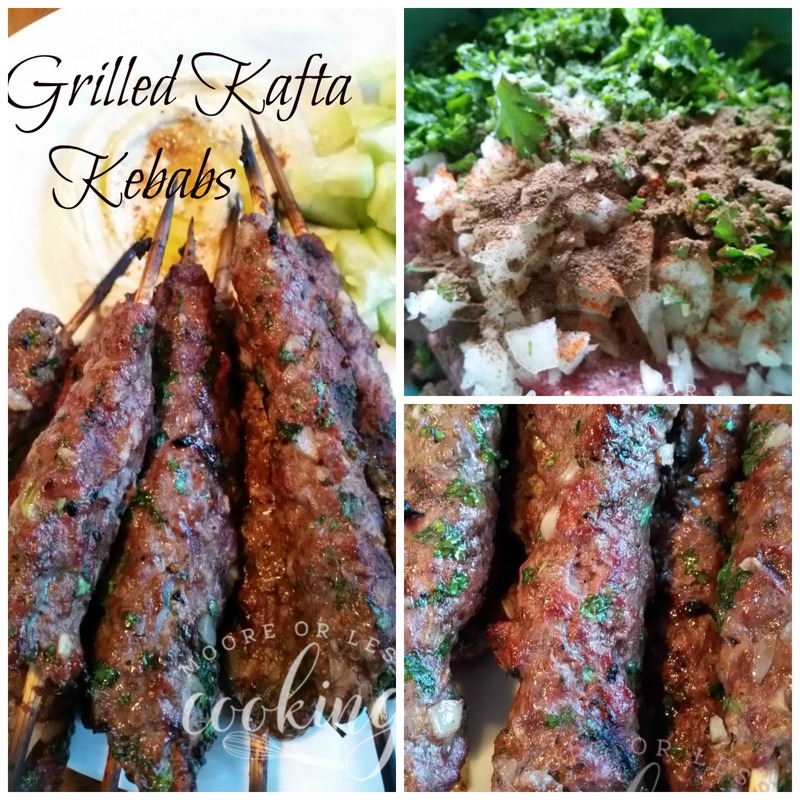 I served these delicious Kebabs with hummus and salad and pita bread. Mix with spoon or hands until completely mixed. Roll into 15 golf ball sized meatballs. Insert a skewer into each golf ball portion and shape with your palms into a log. Cook on kebabs on grill to your likeness. Serve with hummus, salad and pita bread. Enjoy this wonderful Lebanese treat! 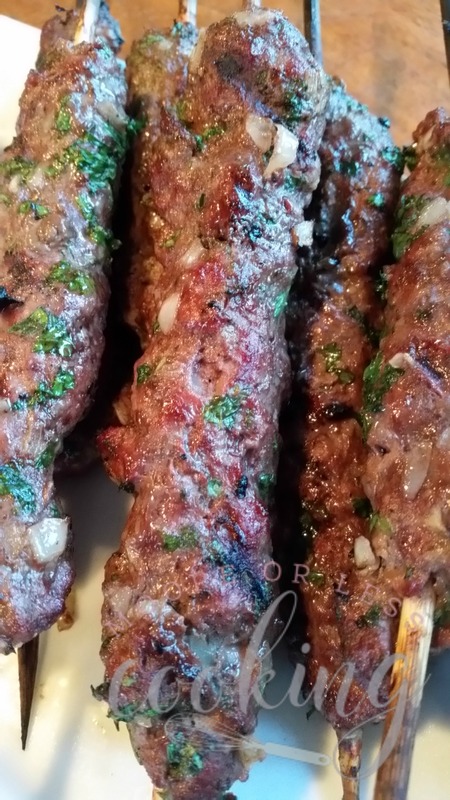 Easy Beef Kebabs full of veggies and spices makes a perfect entree. Soak wooden skewers in ice water. Set grill on high heat. 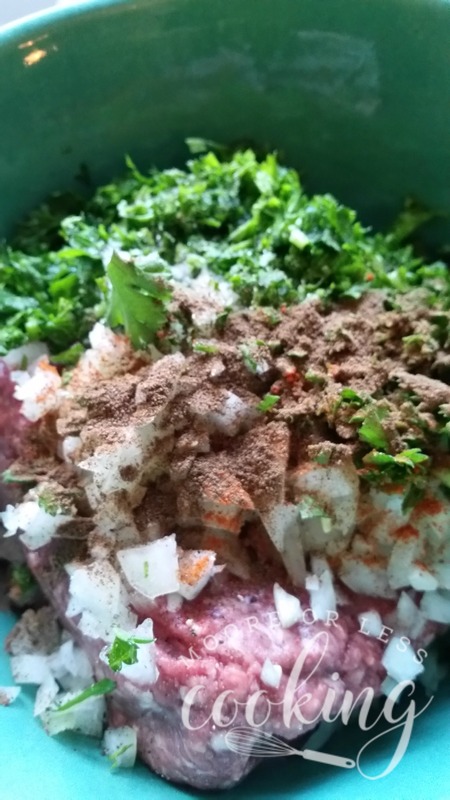 In a large bowl, mix the meat, onions, parsley, allspice, black pepper, salt, and cayenne powder. 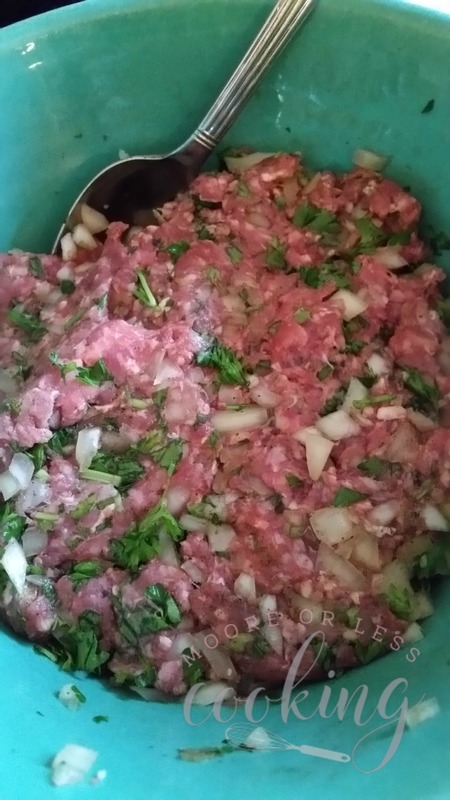 (Squeeze the parsley and onions with the palm of your hands before adding it to the meat, squeezing out fluids). Mix with spoon or hands until completely blended. Divide the meat into 15 golf ball portions. 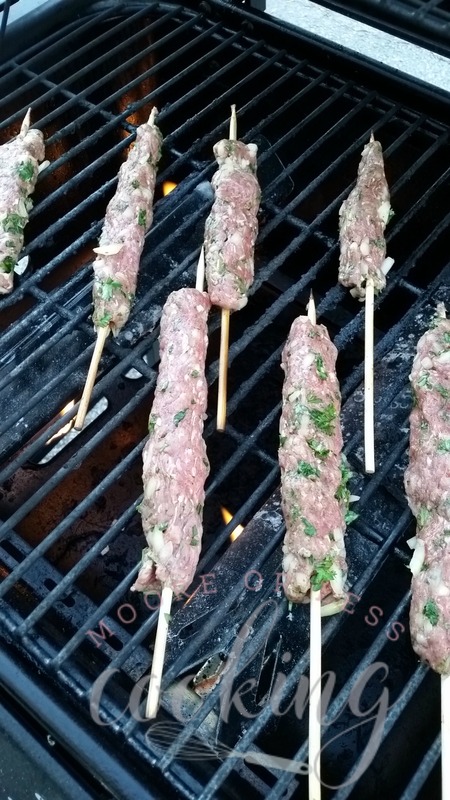 Insert a skewer into each portion and shape it with your palms to make a log shape. Grill the skewers to your taste preference. Serve with salad and hummus and pita bread. These look wonderful, Nettie! Great photos! Facebook has been hiding so many posts from me that I haven’t seen Hadia’s posts in forever! Will share these on my page! Hi there! I love your blog. Your pictures of foods looks so awesome! I love kebabs but never try to make it on my own. Will definitely try myself for this on this coming weekend. Thank you so much, Nettie for taking the time to read and review my book, and I enjoyed reading your detailed review. This spurs me on to work even harder. Xo xo.